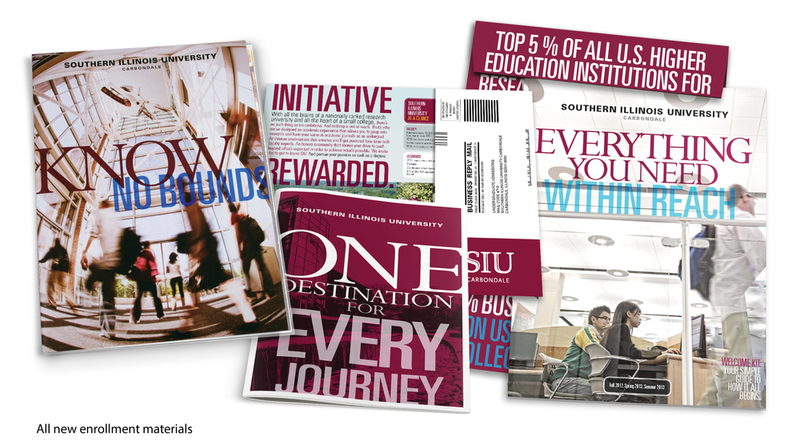 ENROLLMENT MATERIALS. 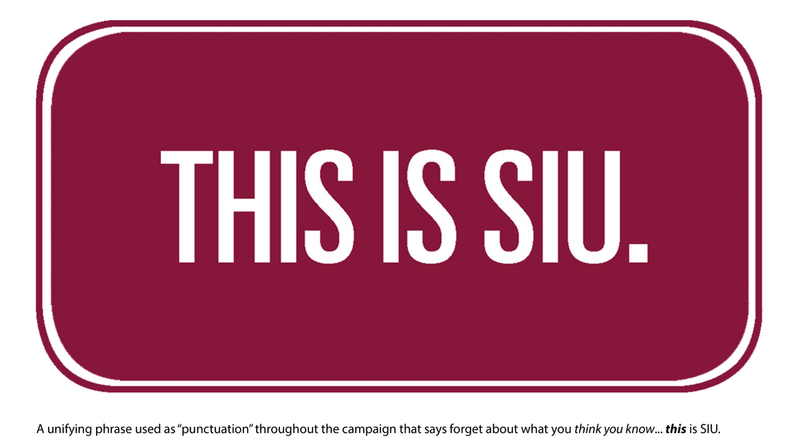 Communicating the SIU brand to prospective students, their parents and other influencers was key to growing and improving the quality of the student body. 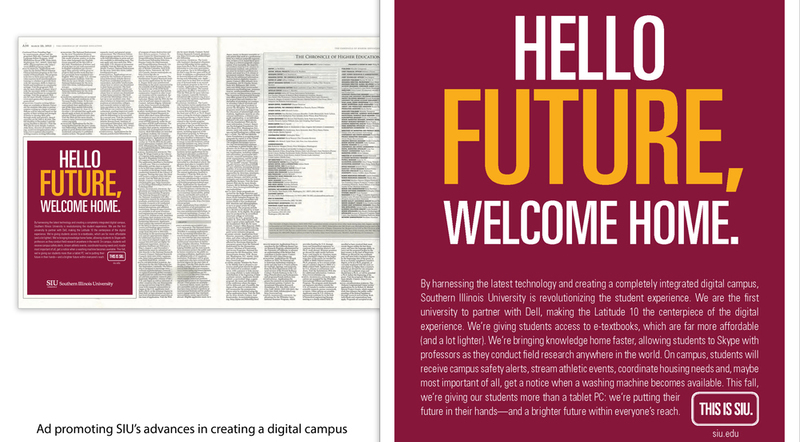 WEBSITE OVERHAUL. 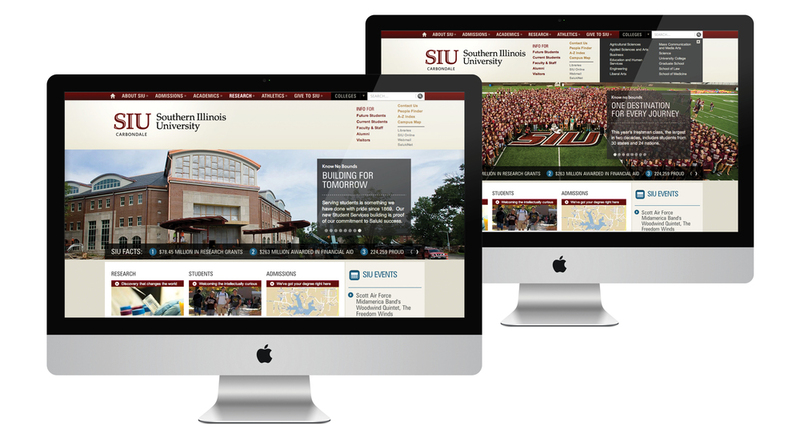 From strategy through UX to design and content, every part of the SIU.edu website were developed. 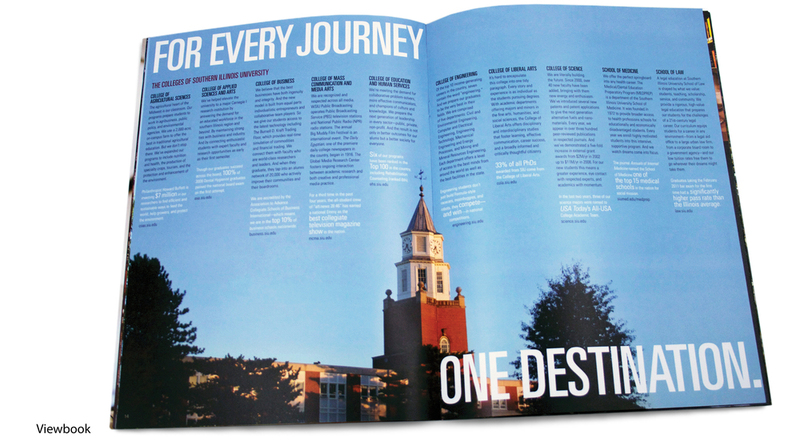 In addition to creating templates for the schools and colleges, other internal and external parts were developed for both enrollment and other needs of the university. 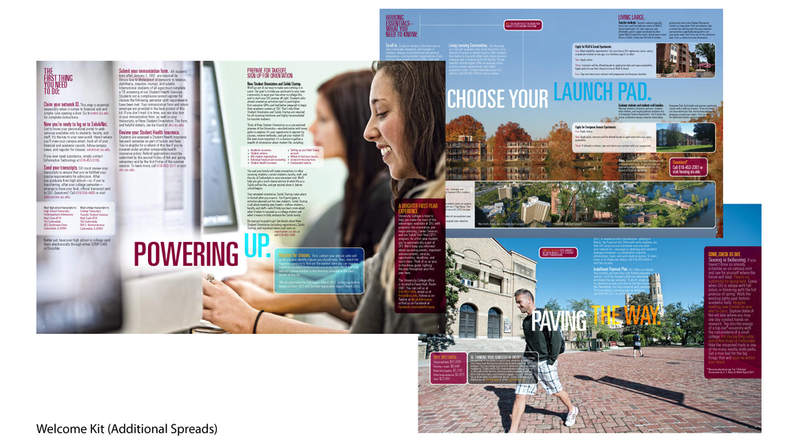 MARKETING & ADVERTISING CAMPAIGN: Creative work was developed across multiple channels and target audiences. 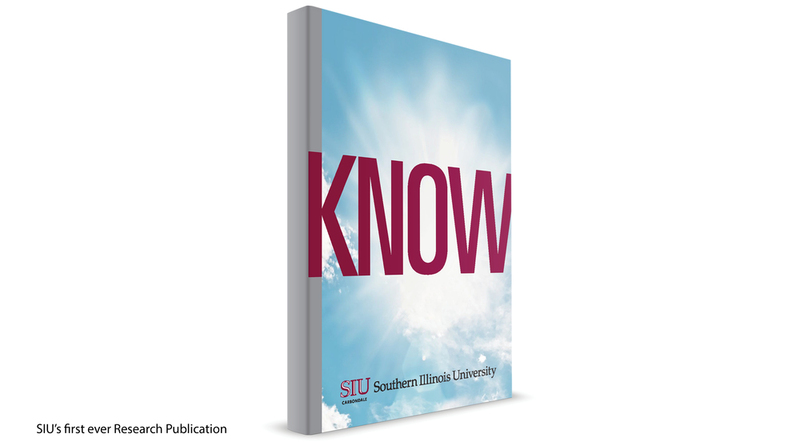 SPECIAL PROJECTS: A number of specialized communications were developed for the university including: SIU's first ever research publication, new student orientation materials, City of Carbondale partnership campaign and dvelopment of interior graphics for the university's brand new Student Services Building.